Here at SwarmOnline we always recommend running Accelerator Bootcamps with our clients (both big & small) before we start designing and developing their application. Don’t worry there’s no running or press ups required, just lots of post-it notes! Our Accelerator Bootcamps are a time for discovery. They not only give us the opportunity to gain a better understanding of project requirements, they also give our clients a chance to iron out any issues that may impact the development process and cause delays to their project. 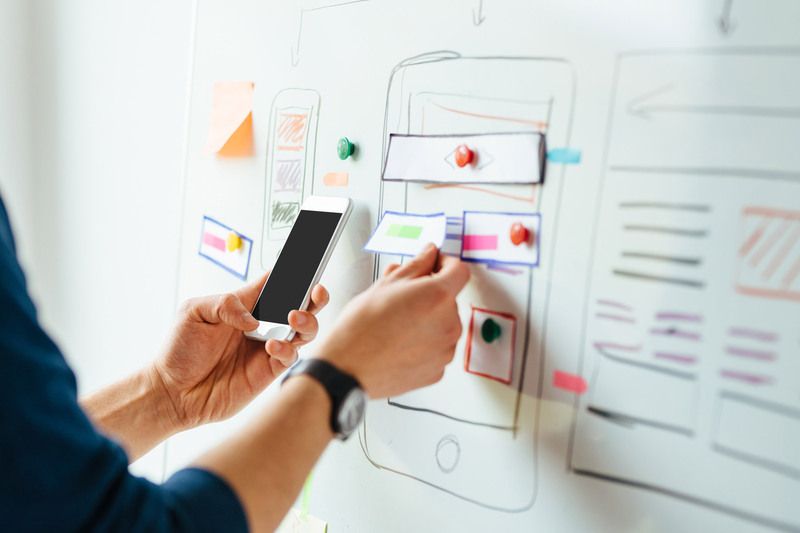 It’s a very hands on process and involves our clients and their stakeholders spending a period of time engaging with our team of skilled digital UX/UI designers and developers. We work through each requirement, sketching out screens and honing and prioritising features to build a complete picture of the final application both visually and technically. After this session we spend the next few days producing user stories, screen mockups and design assets that will be used to build the finished product. An additional output we offer our clients is an interactive prototype. This prototype helps bring your application to life and allows you to get a real sense of how you and your users might interact with it. No one understands what want you want from your product more than you – Bootcamps give you the opportunity to be a part of the process and fully explore all the possibilities, helping you understand the feasibility of your ideas. It saves time – by engaging with our team of designers and developers during this early phase we can clarify any areas of uncertainty and mitigate against potential risks which might otherwise delay the delivery of your product. Interactive prototypes – our prototypes give you a real sense of how your users will interact with the product. These interactive prototypes not only show you how your final application will look, they also mimic the functionality meaning you and your stakeholders can test and refine the user experience before coding even begins. Transfer your domain knowledge – Bootcamps give you the opportunity to share your knowledge and expertise helping us understand your vision of the product and ensuring what we build will meet all expectations. Refining costs – during the Bootcamp we will run through each feature in detail allowing us to refine the requirements, remove as many risks and assumptions as possible and reassess our estimate, providing you with a final fixed price for delivery. If you are interested in taking part in an accelerator Bootcamp please get in touch here.